Dr. Ben Edmunds loves helping patients achieve a “Hollywood Smile.” As a premier practitioner of advanced cosmetic dentistry, Dr. Edmunds can help you have your dream smile. He is experienced in smile makeovers, full mouth rejuvenation, dental implants, and sedation dentistry. Dr. Edmunds was named one of “America’s Best Dentists” by the Consumers Research Council. 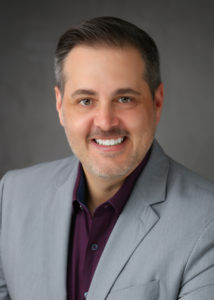 He was also chosen as one of the “Top Cosmetic Dentists in Dallas” by D Magazine. Dr. Edmunds is a graduate of the UCLA Center for Esthetic Dentistry, where he undertook extensive training for porcelain veneers, full mouth rejuvenation, and all aspects of smile makeovers. This program is one of the few post-graduate esthetic dentistry residencies in the nation. When you visit Dr. Edmunds, you can be sure your smile is in good hands.